Are You Ready to Work with a Marketing AI Robot? The future is here and it’s an exciting one we can share in. It involves software that uses artificial intelligence to manage nearly all aspects of marketing. And a software robot named Albert might be your next coworker. How do you feel about that? AI represents fears and hopes for many workers in business so I thought it might be a good time to investigate with the goal of discovering the specific skills we’ll need. The capability of AI is so promising (even without the hype) that it makes you sit back and consider what your role will be? At first, it’s intimidating with the thought that perhaps there is no role for us. Yet there will be roles for us. Yes, it’s a big change for the marketing world and some managers are in denial about it. They’ll accept AI when they’re ready. If you’re managing an agency, brokerage, or you work in digital marketing, you’ll want to be ahead of the curve on this one. The cost efficiencies and productive power of AI could mean the difference between being in business and not. For us, it’s a chance to take a quantum leap ahead of slower, less optimistic competitors. In this next series of posts, I’d like to delve into AI and explore how marketing AI can build success upon success. In fact, with marketing AI, we should expect an entirely new type of digital marketer to arise, free from manual drudgery to explore their best marketing skills and creative powers. It’s all about finding the best questions. And here’s some questions regarding what we’ll be doing in future. how do we use AI to increase social engagement? how do we improve content recommendations? how is the AI robot botching email and social communcitions? how do we align and integrate all digital and offline channels? how do we automate customer communications? who will train us to find the right answers to marketing AI problems? how will we respond after the AI system has moved the customer somewhere through the sales funnel? who will use the AI software to optimize SEO performance? how will we repond to the AI system’s content recommendations? what is the AI system not learning about which content is working well? 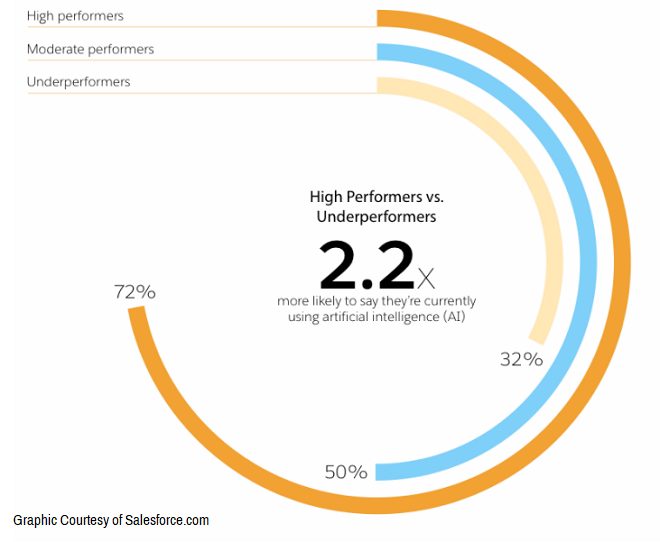 how many different marketing tasks can we do well on our own in concert with marketing AI? when is the best time for the AI system to warn us about performance issues? how do we help the AI system do real-time customer research? will we have to get involved in data collection and management? who will do media planning and strategy? Agile concepts and AI technology will be fully intertwined, where an increasing percentage of the population work in freelance, consultancy and temporary positions, moving from company to company. There’s no more “career” in the traditional sense, but instead we build a set of skills and move around companies, helping them to enhance and improve core business areas — Rullion.co.uk report. It seems the AI marketing solution companies lack transparency and educational services for customers. They require businesses to dive in with both feet with payment, with no trial period. That’s a problem, however we can see, as they know we can, that AI is undeniable. What is happening right now, at an increasing pace, is the application of AI algorithms to all manner of processes that can significantly affect peoples’ lives — at work, at home and as they travel around. Although hype around these technologies is approaching the ‘peak of expectation’ there’s a potential fly in the AI ointment: the workings of many of these algorithms are not open to scrutiny — either because they are the proprietary assets of an organisation or because they are opaque by their very nature — from Inside the Black Box, Understanding AI Decision Making. The real matter is how well we use it, with what creativity, innovation, and exploration of best results. And that’s actually what this software is all about. By all means, investigate these AI solutions when you can. It’s time well invested whether you’re like me, creating your next job in AI marketing, or to use to grow your business. These new artificial intelligence solutions will help us do things better and allow us to access our highest potential. Just like they did in the factories, currently in medical fields, AI robots will spare us from drudgery in marketing and allow us to focus on what we enjoy, to vastly improve productivity and competence. We have little choice really — AI is here. We should be innovative, broad-minded and optimistic about how we can improve business and make ourselves indespensable to our employers, or supercharge our own SMB. Right now, automation is the buzzword, but soon the emphasis will be back on human creativity, innovation, and connectivity. We’re evolving from machine learning and automated tasks to where more personality and a better customer experience happen. The key question is, how will we adapt to AI solutions and add value? You might have dreamed one day at the office, “wouldn’t it be nice to work with someone smart?” Well hallelujah, your Genie just came through for you. You’ll soon be working with AI marketing software and it won’t give you any backtalk or friction and instead, will come up with improvement ideas all day and night to make you better. And then you’ll be overseeing the process for even better results. Managers and CEOs who believe Artificial Intelligence as a marketing tool is still a long wayoff and can’t make a difference should reconsider that view. Robots and AI are in common use around the world and have made astonish contributions to product quality and customer service. Now AI is set to force SMB owners and CEOs to reorganize their marketing teams. Yes, there’s a lot of hype and it’s a little difficult to comprehend. But it’s wise to start learning how to plan for it, integrate it, execute it, and then optimize its performance. You’ll need to choose the best AI software and then you need to hire your next generation of marketing employees. For those who fear job loss, the AI software will create all sorts of new digital marketing jobs. So you’re likely to be doing what you like, or create your own job. That’s what makes this topic so fascinating. I’m in the midst of this revolution in marketing myself. Like 50% of the working population, I’m learning how to stay relevant within this trend of automation of marketing and sales. Within a few years, it will force us into to a new role or pursue a new line of business entirely. Do we want to react to these changes or build a strategy to be the best at it? 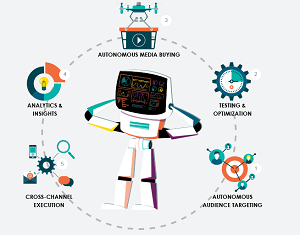 I’m excited about marketing AI because it offers power to really improve results in PPC, content engagement, testing content, testing SEO, testing conversion stategies and tactics, and optimizing our content strategy as a whole. It removes a lot of waste and friction and replaces it with potential. With AI, traditional marketing skills become redundant, and new skills which I’ve listed below rise to prominence (I’ll expand on them soon, so bookmark this page). With AI taking the DM dudgery away, we’ll be more creative, learn more and faster, and have more time for planning a multi-targeted, multichannel integrated DM strategy. Things that make a difference. AI software can test, assess, and continually improve engagement with individual customers while giving us a good look at the overall picture. Everyone in the marketing and creative department will learn and grow because of it. When the AI tsunami hits, those companies that use marketing AI will have an opportunity to take a huge chunk of marketshare. Without AI, old school employees and small businesses will be culled in the coming years. SMBs in particular need AI to keep pace with enterprise level competitors. One estimate I read suggests $21 trillion dollars of business will transfer away from non AI businesses over to those which do use AI. That will make it the most dramatic business event of the past 60 years. Will your firm be one of those going-out-of-business firms that sees your surviving clients/customers quickly slide over to your competitors? I hope not. The fact you’re reading this means you’ve seen the early signals and are wondering how you’re going to face this matter of marketing AI successfully. The transition will likely be awkward, with a learning curve. I don’t have any in-depth successes to share with you just yet, and there aren’t many being told. But it’s early. We’ll hear more victory celebrations such as Harley Davidson and Cosa Bella. A recent post on the Innovationenterprise.com submitted on Linkedin by Jennifer Von Amerom of Culture&Company recruiters is a case in point. It’s a high level post on AI marketing that’s hard to get your mind wrapped around. The essence of the post was in how AI is already being used successfully in the booming programmatic advertising sector. But it’s moving into all aspects of marketing. If my next coworker is an AI robot named Albert or Aiden or Eistein, I’m okay with that. In fact, it would be a quantum leap for me. I introduced you to Albert, the versatile and helpful AI software robot from Adgorithms. It can make an ordinary digital marketer look like a powerful genius (they have a new small business edition released now I can tell you about). What AI marketing solutions do so far, is help create better targeted ads, improve ad timing, and even improve ad creative. We all know conversion on clicked ads is about 1% at best, which means advertisers are wasting most of their ad budgets on paid advertising. That’s billions of dollars on poorly targeted advertising, and digital marketing teams stressed out trying to reduce it. AI promises to help small business marketers understand the personas, click behavior, and needs of individual consumers and website visitors in more detail. At least some AI software solutions will offer insight. Finding the good transparent ones is something you have to begin doing now. It’s kind of a no-brainer. That’s why I am making a transition to the AI marketing field already. It seems AI marketing tools will require a whole new set of digital marketing skills, both software and creative abilities. It’s wise to begin the transition now. As AI uses its own ever-improving learning processes (free of human marketer bias), it’ll assume more of all of the work of marketing, including testing of creative and estimating which generates better results. That means even creative people will have more time to think about creative planning and strategy and discussing it with an AI bot like Albert. What Does an AI Powered Digital Marketing Specialist Do? Anything or everything. We and copywriters, graphic designers, videographers, and web designers will work more closely with AI recommendations. Will workers need to be more specialized, or have more generalized skills? It looks like we’ll need both. One of my biggest frustrations in working in digital marketing is the lack of information about the market and client’s website users. People make a big fuss about analytics but the insight it gives doesn’t really help us. We’re stumbling around in a black box. AI software can test, assess, and continually improve on an individual customer basis while giving us a good look at the overall picture. Everyone in the marketing and creative department will learn and grow because of it. And the reason for poor customer insight is that no one can test visitor’s interests, personas, and clickthrough behavior, and respond fast enough. Testing in real time, means you can get much more insight from visitors. Human’s can’t do it but AI can. It would be fun to orchestrate all of that. I’m excited about how AI can provide more detailed insight so I can test out different strategies, or even build excellent content strategies in the first place. New possibilities. With AI, there’s no need to depend on big teams of digital marketers who may resist forwarding the info you need, nor aid you in what you’re doing. That friction or lack of teamwork is a big element of “cultural fit” that many hirers obsess over. But AI might remove it entirely. You might say Albert gets along with everyone and is the ultimate team player. With AI marketing software, the friction disappears and the strategist suddenly gets direct access to great information fast. Whatever thought, scenario, or supposition I can think of suddenly becomes one I can follow. The potential for campaign improvement and personal professional development is mind-boggling. A veritable dam burst of forward motion. Old analytics systems will disappear as new ones arise to help us engage visitors and capture their buying intent. No more guessing or asking clients or managers for info and permission. Instead we can help the AI software do some harmless testing and discover the strategic potential of an insight. Clients and managers will be looking to AI marketing specialists for insight about how visitors feel and what they might purchase in the new year. Yes, AI will be able to learn how customers and website visitors are feeling and what their buying intent is based on their interactive responses, questions they ask, and the content they view. AI systems can process natural language — almost like reading the customer’s mind to understand their underlying intent and issues. Admittedly, right now, I’m a rank amateur in AI marketing strategy. However, with anything, you’re as good as you want to be. It’s all about attitude. 1 year from now, I’ll be looking back at my newbie status with a smile. So with AI, you or I won’t need big data expertise or experience. The AI tools themselves will take care of those deep insights and testing power. The software promises to ease time consuming manual work and let us work on higher level strategy. We’ll get excellent results. It seems to me, that a digital marketing specialist or a content strategist I’ll be able to manage entire campaigns, which the AI software executes and provides feedback on. The purpose of a business is to create a customer, and AI serves that purpose pretty well. AI Skills Digital Marketers will Need? Basically, we’ll need to do anything Albert can’t do. In the SMB area, we’ll need to be versatile as our work touches on everything from client communication to creative strategy. We’ll need to weave campaigns together and attend to any aspect that’s ailing. It’s Good to Share: Tell your friends and coworkers about the AI revolution in marketing. It’ll affect everyone in your office. 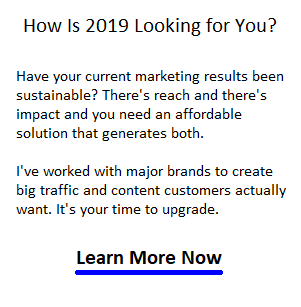 If you’re considering venturing into the AI marketing space and you’d like to have someone enthusiastic about helping you implement it, please contact me. ← Previous Post: Why Will the Los Angeles Dodgers Win The World Series?